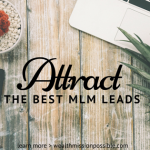 Getting people to your blog is crucial if you want to succeed as an online marketer, regardless of what you are selling. Your blog is your hub on the Internet and an important asset for your business. It’s where people can find you, get to know you, and it helps to educate people about the value you offer. To increase your blog post readership, getting traffic is a must and Facebook is a powerful tool to help. Posting your blog content on social media channels gets more people reading and sharing your content. Here are some tactics that will help you drive traffic from Facebook to your blog. Share quality blog content on Facebook soon after publishing your post. 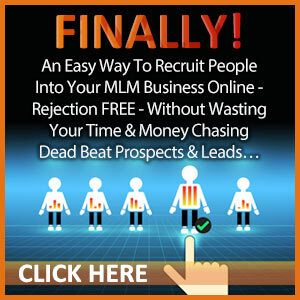 In the best case, you should have a Facebook business page where you can gain followers. When they see and like your blog post on your Facebook page, their friends will see it too! That is one way for others to become aware of your Facebook Page and blog content. When people share it, it goes that much further! Be encouraging to your audience to share your post. More important, be sure to post content that is shareable. For example, if you just post about your product, service or business, chances are slim that others will share it or even read it. But when you post information that helps to enrich the lives of others, that is where the likes and shares start to happen. 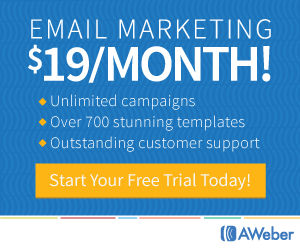 Your audience will want to read more and click the link back to your blog. That’s one key method to get traffic from Facebook, posting quality blog content! How many people it should be shown to. It’s super easy to boost a Facebook post. Look below the post on your Facebook Page. Click the Boost button and the Facebook Ad page will guide you through the process. Notice that colored line which indicates the number of people reached is split into a light and dark color. If you hover over the lighter color, it shows you the organic or natural reach of the post. If you hover over the darker area, it shows you the paid reach of the post on Facebook. Every blog post you write should have a great headline! It’s the first thing that people see and often determines whether they read your post or not. It’s true that 80% of people don’t make it past the headline, especially if it’s boring. If you want to get traffic from Facebook, be sure you have a powerful headline to compel people to click over to your blog and read the entire article. Your headline should be catchy, yet provide enough curiosity so your readers know what to expect. It’s a fact that Facebook posts with images get 120% more engagement. I’ve seen it myself, it’s true! Think about when a person scrolls through their Facebook newsfeed, does your Facebook post make them pause or keep scrolling? Consider that for every blog post you add to Facebook. Create images that will make a person pause. 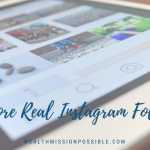 If your blog post Featured Image is not appearing clearly on your Facebook post, then upload the image on its own and create a link to the blog post. You can check your Facebook Page Insights to see which posts get the most engagement and reach. I bet it’s the ones with images! Need some great resources to grab free stock photos? Here you go – 7 Free Stock Photo sites! When you post your article link on Facebook, write a brief but compelling update. If you just drop a link, no one will click it. You haven’t told them why they should read your article. Create an inspiring description to grab the attention of your Facebook audience so they will be compelled to click the link and read your article! 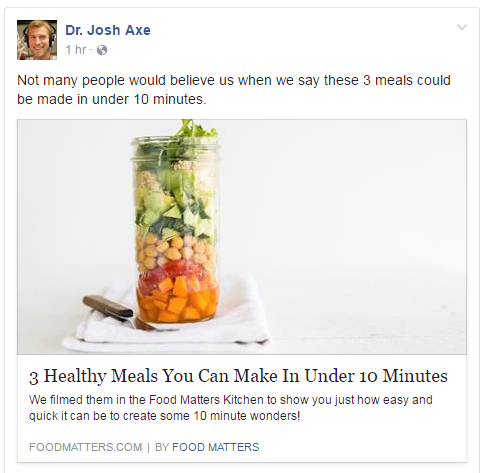 I love the posts on Dr. Josh Axe’s Page. He gets tons of traffic to his blog from Facebook. I usually click. His content is short but powerful regardless of whether he shares his own or another blog’s content. So many times, people click Like on a Facebook post but they never click the link to actually read the article. You can tell by comparing the number of Likes to your traffic. For example let’s say you get 1,000 likes on your Facebook post but only 10 visitors to your blog. Blah! 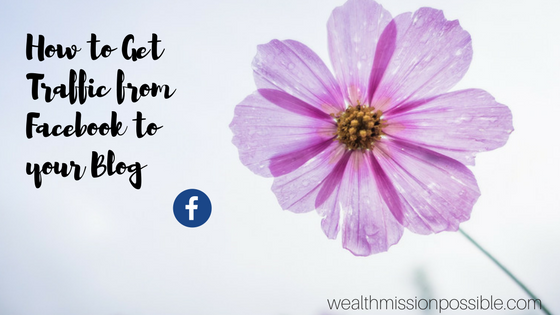 Facebook can be a powerful tool in promoting your blog content and getting more traffic from Facebook. I’ve given you 5 tips to implement for sharing your blog post on Facebook. 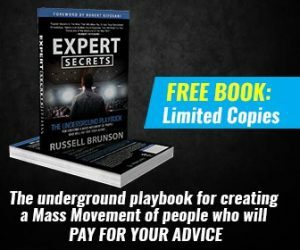 Are you already using some of these technique to get more traffic from Facebook or will you implement these? 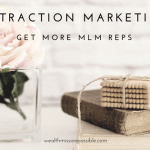 If you want to learn more about how to make it work for you, discover the #1 fastest way to get ‘Likes’ on your fan page, create content for your blog, and engage your fans in 15 minutes per day. I think the main trick is to engage people on facebook without sending them to the blog. When they do love you, they’ll got there on their own. Glad you found it helpful. Which of these tips will you implement?